I received my April Glossybox today! Just in time since it's the last day of the month. I was also pleasantly surprised at the speedy delivery by Canada Post. The tracking number told me it wouldn't arrive until tomorrow. The first thing I noticed about this box was the weight. It was pretty heavy... it was probably definitely because of all the full-sized products! 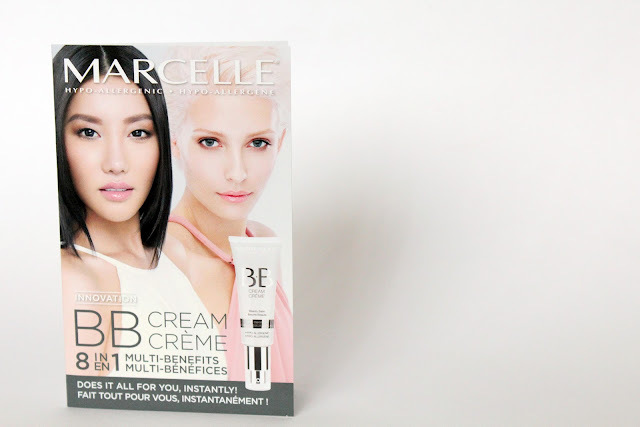 BB Creams are so in right now. 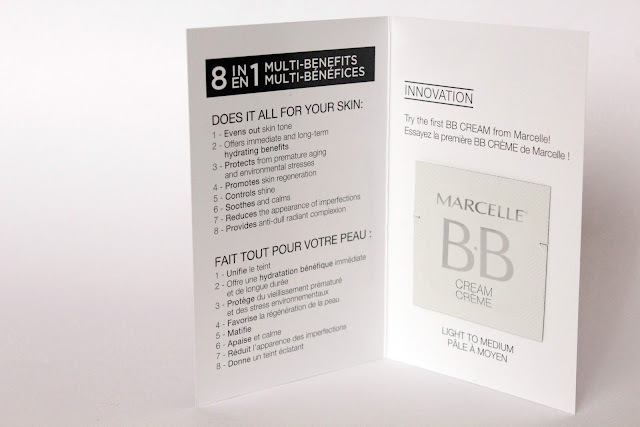 Who doesn't want an 8-in-1 product? This is supposed to enhance your skin by evening out your skin tone and also provides anti-aging properties. It comes in two shades light/medium and medium/dark. The full size retails for $22.95. 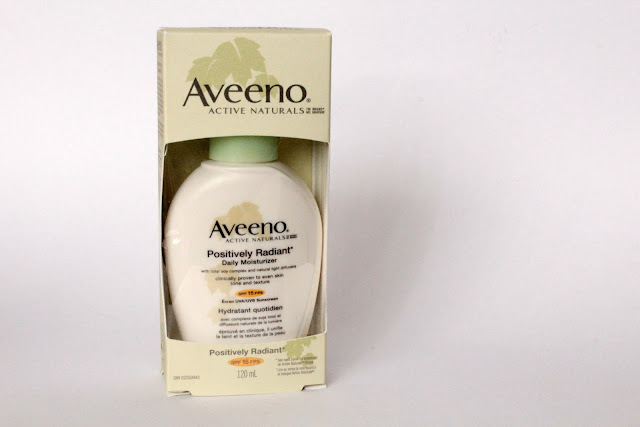 I love Aveeno products and their positively radiant collection is lovely. It is clinically shown to improve the texture and dullness of skin. I like that there's an SPF, even if it's just 15. This is a full size product and it retails for $22.99. A great bath and shower gel with a delightful fragrance. I love that you can use this for a nice bath or for a quick shower. This is full size and retails for $20. I have never used Wella products before so I was happy to receive these to try. Apparently that one of the ingredients in these products is diamond dust. Very luxe. The Brilliance conditioner is supposed to moisturize and give hair a vibrant shine. 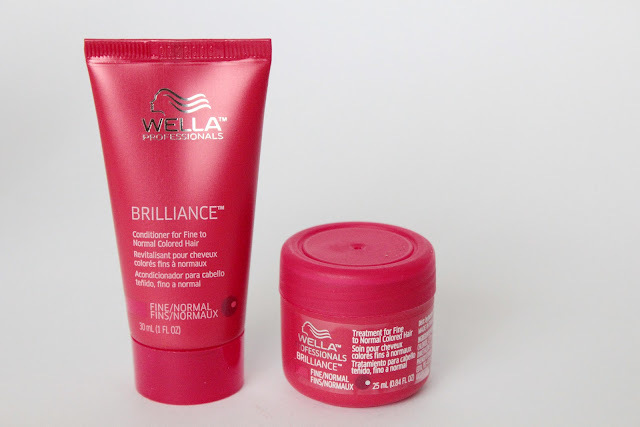 The Brilliance treatment is supposed to instantly restore hair's vibrancy. Probably something that I could use because this drab weather is playing games with my hair. The full size products retail for $13.99 each. 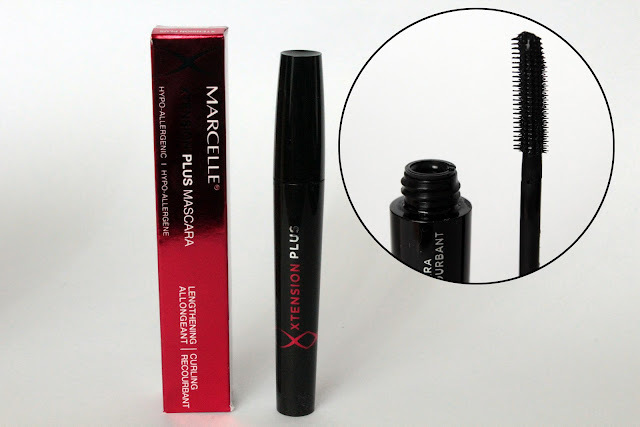 This is a new mascara from Marcelle. It is supposed to give your lashes extra length and curl, while minimizing clumps. It has a nice wand. It's not too big (I don't like big wands -- they're kind of scary) and it has fine plastic bristles to comb through the lashes. I haven't tried it yet so I can't confirm, but I'm excited to try it. I love new mascaras. This is the full size and it retails for $12.50. This box was great! 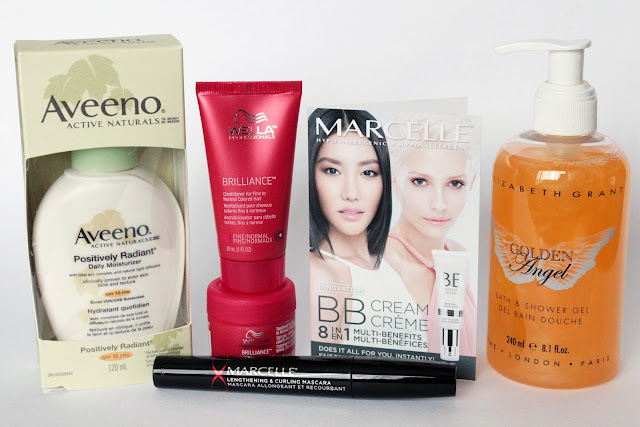 I like the variety of products -- there's some skincare, makeup, and hair products. Plus, all the full size products were a great bonus. I try not to expect full size products -- since this is really a service that offers deluxe samples -- but it's always exciting to get them. I got mine today too! My shower gel is different, I loooove the scent! That looks so good! Way better than any other beauty subscription for sure. I got mine today too. It was my first one, and I am happy with what I received. even though aveeno isn't really deluxe, that is a great product (i use it every day!) and I've seen it for $27 at SDM. I'm thinking i want to cancel luxe box and get glossy box instead. Great box! I finally got mine today and I got the same thing with the exception of the shower gel. I got a coconut one. Great box~ I wasn't able to get this months this time because there was an error :( sad times, but not to worry! I am getting one next month so I am still excited! I just received mine today too! 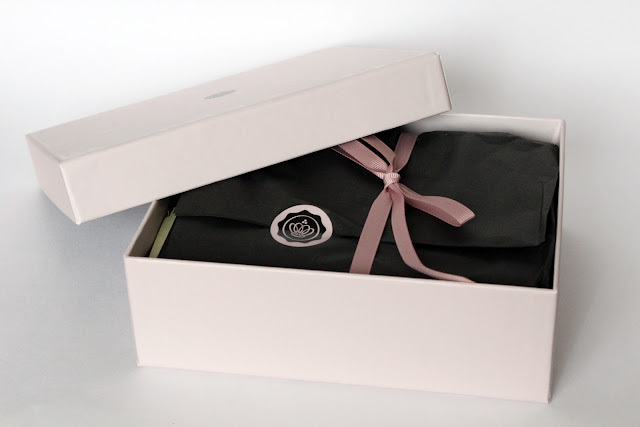 happy day for all glossybox subscribers, woo hoo! you did an amazing job with the photography for this post, kudos to you. I got my box yesterday and got the exact same things you did. I am super-excited and hope that Glossybox keeps up the excellent work. They are by FAR the best box out there, and the reason why I cancelled my Glymm subscription. Got my box a few days ago and loved it! It was my first beauty box ever. I got a vanilla scent for the shower gel. P.s) I am your newest subscriber! Wow that's an amazing box!